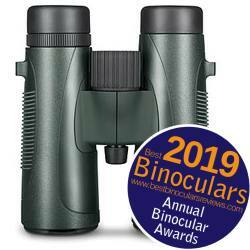 Now into it's ninth year, the 2019 awards are a way for me to showcase the very best binoculars, night vision devices, scopes and accessories that I have fully tested and reviewed in the past 12 months in a range of categories. It really annoys me that the internet is riddled with reviews and awards given by people who in most cases have never seen, used or tested the product in question. This is because not only are these awards and reviews completely meaningless, but they are also misleading and will often trick consumers into a purchase that in many cases is completely wrong for their particular needs. 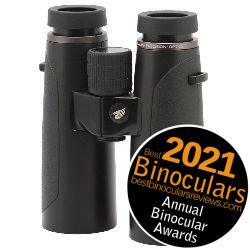 To be eligible for a BBR Award and be considered one of the best binoculars for 2019, it has to have been fully reviewed and tested here on BBR. Here I think it is important to note that all of the reviews on the BBR website are 100% genuine and only written after I have thoroughly researched, used and then tested and compared the binocular/instrument/accessory to others in its class. Then at the end of the year, I go over each review and see which, if any really deserve to be called the BEST in a particular category. If I cannot find any deserving winners, or if it happens that I have not reviewed a product in a certain category over the last 12 months, then I either forgo the award or if good enough and still relevant and available on the market, I will suggest the previous year's winner. I would like to also like to reassure you that my choice for an award winner in every category is completely independent and totally unbiased in any way and that I will never accept any sort of incentive to promote a particular product above another. 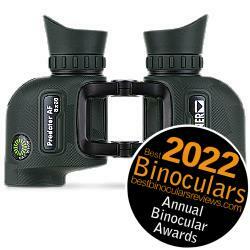 As I can only review and test a limited amount of products every year, this does mean that the pool of potential winners is far, far smaller than every single pair of optics on the market, but I hope that you will agree that these BBR awards really do mean something and that the winners really do deserve to be highlighted and recognized as some of the best binoculars in their particular niche. More details, check out the BBR Awards Rules at the foot of this page. 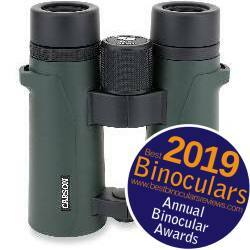 Scoring a massive 90% BBR score there is no doubt in my mind that the Passion HD binoculars from German Precision Optics is not only one of the top rated binoculars in 2019, but ranks up there with the very best HD binoculars that I have ever used. From the extremely comfortable and weight saving top hinge designed magnesium alloy chassis to the fully multi-coated optical system that incorporates double ED glass lens elements with hydrophobic coatings on the exterior surfaces as well as the very best phase corrected and dielectrically coated Schmidt Pechan roof prisms, these German designed binoculars brought a smile to my face at every turn. The body components used by GPO and the overall build quality are out of the top drawer. This includes the use of a magnesium alloy chassis and aluminium eye-piece housings to the super smooth focus wheel with its integrated diopter adjuster. You could not wish for high-grade optical components and coatings which includes two ED glass elements within each lens and hydrophobic coatings on the exterior surfaces that ensure a better view in all conditions, remain cleaner for longer and are easier to clean when you eventually have to. These very high specification optical components combine well to deliver what I thought was a truly exceptional view and which I believe is as good or better than any instrument at this or even the higher "alpha" price level. For a 10x42, the image brightness is super impressive. I really like the quality and semi-rigid construction of the carry case and the neck strap is one of the most comfortable that I have ever used. For a binocular with a 10x magnification, these GPO Passion HD 10x42 binoculars have a very wide field of view. Indeed at 336ft@1000yds, it exactly matches that of both the Leica 10x42 Ultravid HD and the Swarovski 10x42 EL. As with last year, over the last 12 months, I have been fortunate enough to have tested many binoculars that are ideal for hunting, however this year, I have also had the pleasure of testing a number of binoculars specifically designed for hunting. So the competition to win this award has been tougher than ever. Called the Shadowquest in the USA, the large 56mm Steiner Nighthunter binoculars are specifically designed for hunters and especially those who require the brightest views, even in very low light conditions. However as I found out when testing them, they can be just as effective for anyone needing an instrument that excels in very low light conditions. Manufactured in Germany, using the very best optical components and coatings, Steiner Optics have managed to produce an instrument that has an industry leading light transmission level of more than 96% (across all visible wavelengths). This extremely high light transmission level combined with their large 56mm lenses that are able to collect more light than smaller ones are able to produce a low light performance that is off the charts and as good as or better than anything I have ever used before. No question. However, along with this, I would also add that the general image quality is excellent and about as good as you could ever hope for. The Nighthunter/Shadowquest incorporates a fixed focus (Always in Focus) optical system which means that once you have set up the instrument to match your particular vision using the double diopters, no further focal adjustments are necessary from their minimum focal distance all the way to infinity. This means that you are able to more easily use this instrument with just one hand (important for hunters carrying a weapon) and thus lock onto your subject that much easier and faster. As with the birding binoculars above, a wide field of view is often of great importance to the hunter and general wildlife observer. This is because it makes it easier to scan wide open areas and then at closer ranges it makes it much easier to quickly locate and then follow fast moving targets. For hunters who need to carry other equipment like a rifle or bow, the ability to easily attach your instrument to a bino harness for hunting is often of great importance. The good news is that like the lens covers, the neck strap has Steiner's excellent Click-Lock quick-release system making them a cinch to remove and quickly fit onto your harness. Other excellent features include the eyecups with included side shields that are extremely effective in blocking out light and distractions from the periphery of your view. So it is for these and many other reasons which you can read about in my full review, that I had no hesitation in awarding the best binoculars for hunting 2019 to the Steiner 8x56 Nighthunter/Shadowquest Binoculars . Even more so than the Nighthunter above, the Steiner Predator AF binocular is specifically designed for hunting. This is because they incorporate special lens coatings that are able to enhance the reddish brown colors of game which mean that they stand out against the background. Of course, this feature also makes them excellent for anyone wanting to discover wildlife, but you do have to accept that the colors you in the view see are not completely true to life. Whilst Nighthunter/Shadowquest above focuses on delivering the brightest image possible, this instrument aims to make it as easy as possible to transport and carry, but still keeping half an eye on image brightness and performance. The 30mm lenses mean that a smaller more lightweight body is possible, but what really stood out for me was the open bridge body design. Quite common on roof prism binoculars, it is the first time I had come across it on a Porro prism instrument. Whilst this may seem like a small or unimportant feature, I think for the lightweight hunter it can be of great importance. I say this because not only is it extremely comfortable to hold when glassing, but the space left by the vacant focus wheel opens up more of the barrels and makes for a very secure as well as a comfortable region with which to hold onto. Therefore, if you often walk about with your binoculars in just one hand and perhaps with your weapon in the other, this really is an advantage. Like the binocular above, these are also focus free binoculars which once again not only makes it quicker for you to locate your subject but means that it is easier for you to use the binocular with just one hand whilst holding your bag, camera or weapon in the other. 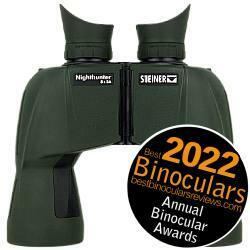 Before we get to this years winner, I just wanted to point out that to the Best Value Binocular Award is one of the hardest to win. This is because to even have a chance, the instrument has to have scored really highly within it's price category on the BBR scale and then also look to offer you more bang for your buck compared to all the other high scorers in other price levels. What this means is that with the winner you are not only getting a great binocular when compared to it's direct competition, but also one that offers better value with more features, better views etc than what I would expect to see at that particular price. To learn more about the exact criteria required, take a look at this section on the Best Value Binoculars. Winner of the same award last year, scoring an "outstanding" 80% on the BBR scale and now available for just about $200 / £200, it was always going to take a seriously impressive pair of mid level bins to knock these fantastic Hawke Endurance ED's of their perch. The main point that I would like to highlight is that with a BBR score of 80% this Endurance ED is the highest scoring Mid Range bino (under $300) that I have tested to date, which is impressive in itself. However this also means that they easily rank amongst the top Mid-High End ($300 - $500 / £300 - £500) binoculars which is incredible and most certainly worth of the use of the words "outstanding" and "value" in the same breath. Current Price: Approx $200 / £200! There is no doubt that with the rise of manufacturing and imports from the Asian markets, the increase in competition has meant that in general the level of low cost instruments has risen. The first thing I really like about the Carson RD Series 8x42 binocular is that you would never guess by looking at them that these cost less than half of most great quality mid range instruments out there. They have a simple, understated, but classy look them, the finish on them is excellent and small details like the dimpled focus wheel with etched RD branding on the face really does set them apart from the hoards of generic mass produced instruments I see at this price level. 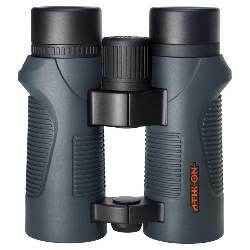 Firstly it is important to note that unlike some at this level, the optics are fully Multicoated, then rather than Aluminium, the Carson RD 8x42 binoculars also have Silver mirror coatings on BaK-4 prisms. Both of these and other optical features ensure that the image that they deliver is both brighter and of a higher quality than the majority of their direct competitors. Indeed this is something that I remarked on these in my review of them.